With 335 million active users in a month, Twitter is the most amazing social networking platform out there. When you are getting bored, there is no other place better than Twitter to get involved in some amazing tweets, follow famous celebrities, and laugh at political feuds. However, not being able to download Twitter videos on your phone is a turn off. But, don’t worry. We have prepared a list of best Twitter HD video downloader available on the internet. Using these apps, you can have Twitter videos on your phone and that too in HD quality. Let’s begin. 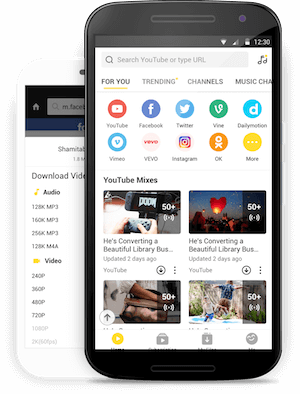 Snaptube is an app designed and developed by Mobiuspace for providing HD video contents to users. Using this application, you can download video from Twitter in HD for free. You won’t even have to sign-up or register. All you need to do is download the app from official website. Snaptube has integrated various platforms in one app including Twitter. Users can sign-in to their Twitter accounts on Snaptube and download videos from Twitter in HD. It is also possible to use other platforms from Snaptube such as Facebook, Instagram, YouTube, etc. The app is completely free of charge and there is no fee for using the complete features of Snaptube. Snaptube’s loader is exceptional high speed, which saves users some buffer time. You can load videos in seconds and download HD videos in minutes. Your Android device won’t be harmed in any way as Snaptube is security verified by CM Security, Lookout Security, and McAfee. This Twitter video downloader HD lets you download videos and GIFs from Twitter directly to your computer. All you need to do is paste the video link in the search box of the website and hit Download. You will then get options to choose the quality of HD video you want to download. 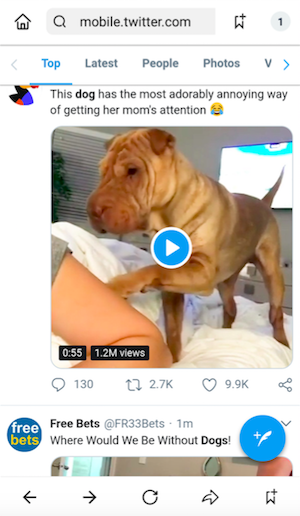 This Twitter video HD download app is almost similar to the previous one. You have to copy the video link from Twitter, paste in the download bar of the website, and hit enter on your keyboard. Then, you will get options to download the video in MP3, MP4, and MP4 HD format. Since Snaptube is the most feasible app for downloading Twitter videos in HD, we have explained its functioning in detail. Read the full working of Snaptube app. Firstly, to use full features of Snaptube app, you need to download it on your Android device. Visit the official of Snaptube from the link and download the APK file on your Android phone. On the homepage of the website only, you will find the Download button. Once the app is installed on your phone, just scroll down your notification bar and tap the downloaded file. Snaptube will launch on your phone and you can start using it immediately. Note: If you are facing troubles while downloading the app on your phone, then check if you have enabled third-party app download on your Android device. Go to Settings and then, Security & Privacy. Here, look for Install unknown apps and enable it if it is not already enabled. Now, try downloading Snaptube again. 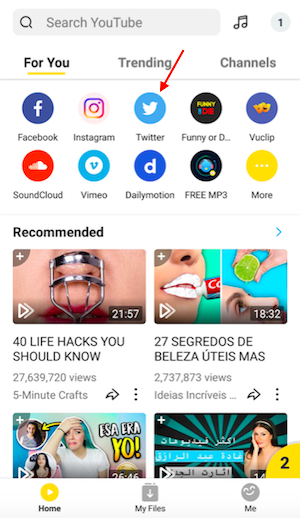 On the homepage of your Snaptube app, you will find Twitter icon. If you do not find this icon, then click on More and add Twitter to your list of platforms. 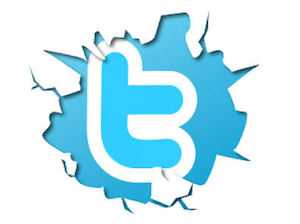 Now, click on Twitter icon and when you are directed to a Twitter interface, sign-in to your Twitter account. Don’t worry. 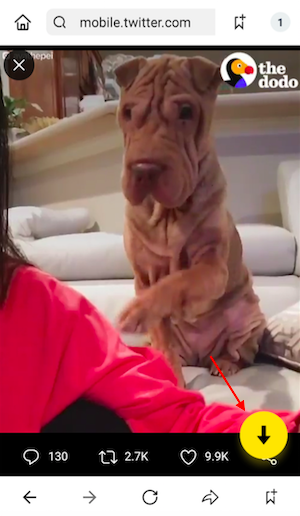 Snaptube doesn’t misuse your credentials in any manner. Afterward, find the video you want to download in HD quality and open it. Snaptube will automatically show a download button at the bottom of your screen in form of downward arrow. Tap on the arrow and select your HD video quality. Change the downloaded file location if you want to and then hit Download. Easy, isn’t it?